The Official SAT Study Guide: Second Edition™ features 10 official SAT® practice tests created by the test maker. With over 1,000 pages and more than 20 chapters, it’s packed with the most up-to-date information regardless of the jacket and students need to get ready for the test. 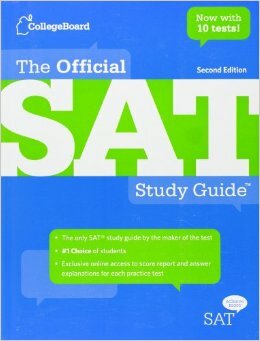 There’s also a complete chapter on the PSAT/NMSQT®.